Monk Fruit or the Luo Han Guo has been used as a natural sweetener in China for many years. It measures one-to-one with sugar. 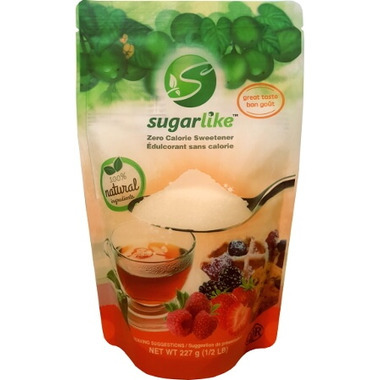 SugarLike is a natural, low glycemic, low calorie sweetener. SugarLike uses a proprietary encapsulation technology to fully surround each granule of monk fruit extract with erythritol. What this means is no powdering, no sneezing! I really like Sugarlike Monk Fruit Sweetener and I think the taste is just right. I have tried so many sweetners and this one is the best so far. I like that it a natural, low glycemic, low calorie sweetener. I am prediabetic so I have to watch what I eat. I just wish there was a bigger bag and was cheaper but it is the less expensive than some other sweeteners. I will be buying again. I am not watching my carbs maybe I should. 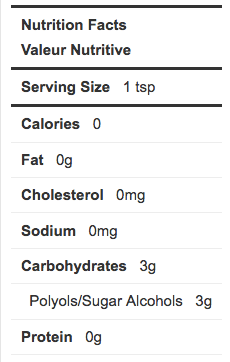 Doesn't taste sweet enough...also, its 3g of carbs per teaspoon!! This i NOT keto friendly at all. Way more expensive than sugar, but for some of us the price is worth it. No after taste like stevia etc. I'm hoping the price comes down in the days to come. I find that this product is not as sweet as I like. I have to use more of it to get the desired taste. There is no aftertaste like most sweeteners.